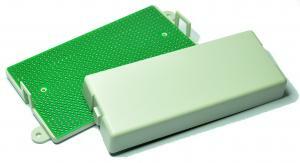 Two-part plastic enclosure MinICase-2 with snap-in assembly, 100mm x 60mm pcb board size. MiniCase-2 - Two-part plastic enclosure MiniCase-2 with snap-in assembly, 100mm x 60mm pcb board size. Delivery without breadboard pcb, which can be ordered separately. 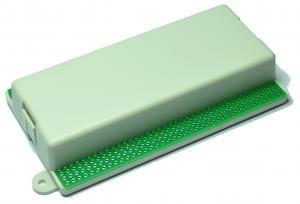 Bread board for plastic enclosure MinICase-2, 100mm x 60mm pcb board size. Two-part plastic enclosure MinICase-1 with snap-in assembly, 50mm x 60mm pcb board size.